Previous PostSPECIAL OFFER – LIMITED TIME: 3 X Amino 160 Tabs for 40 JDs Only. 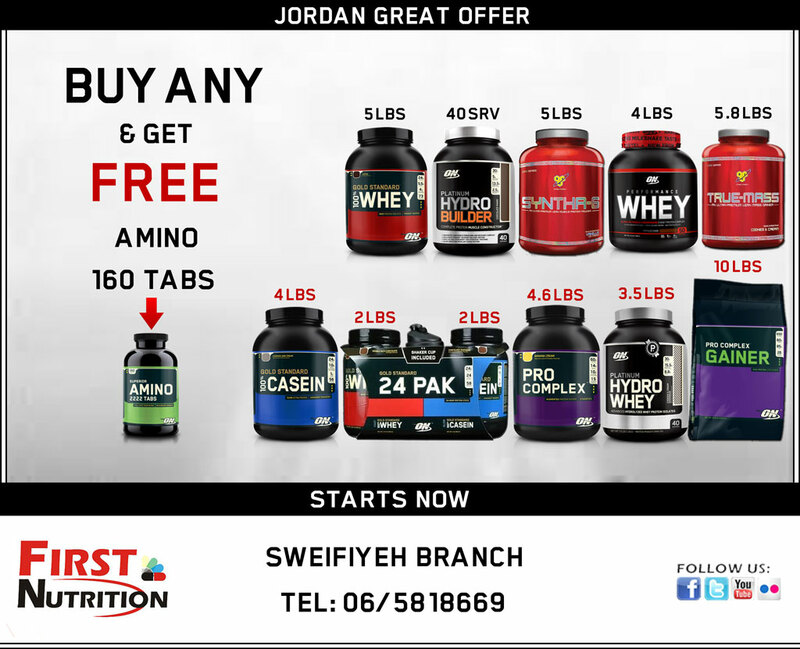 Offer Starts Now at First Nutrition Sweifiyeh Branch Tel: 06-5818669Next PostThe New NitroTech Performance Whey Isolate is Now available at all Branches in Lebanon. The Most Advanced Protein Powder Ever Developed, 30 Grams Protein, 0 Grams trans Fat, 3 Gram Creatine, Packed With Amino Acids and Digestive Enzymes.